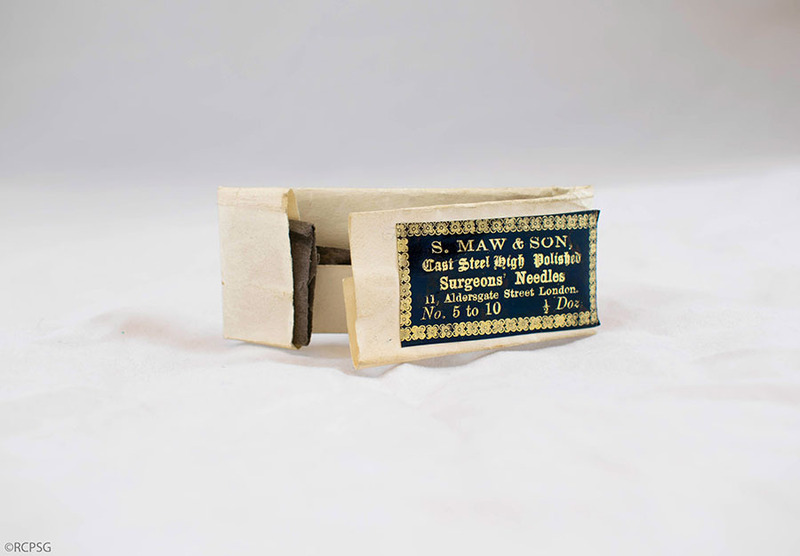 Suture needles in paper packet. 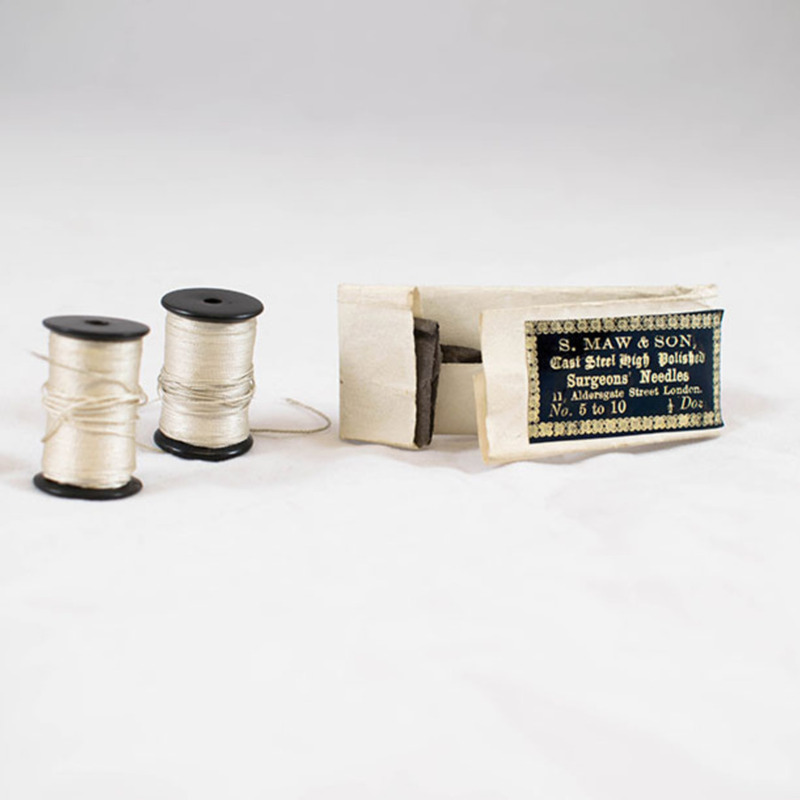 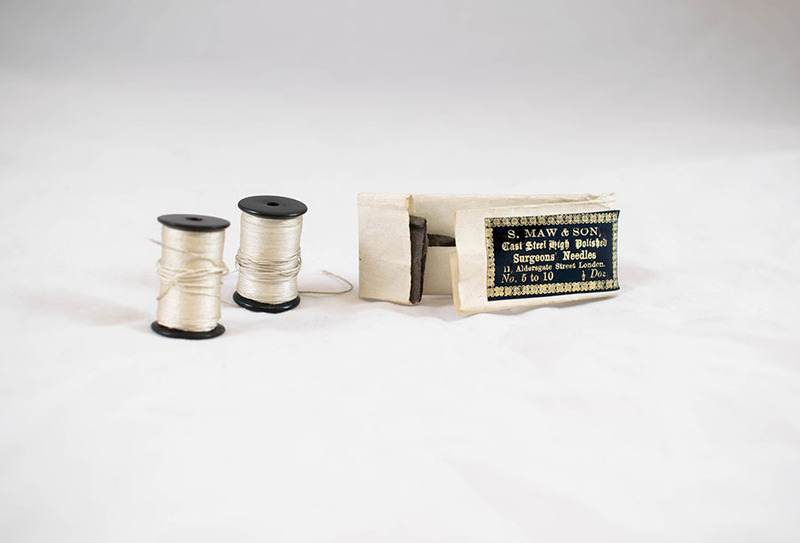 S. Maw & Son, Ltd.; 1860-1979; Health care manufacturer, “Set of Suture Needles,” Heritage, accessed April 24, 2019, https://heritage.rcpsg.ac.uk/items/show/539. 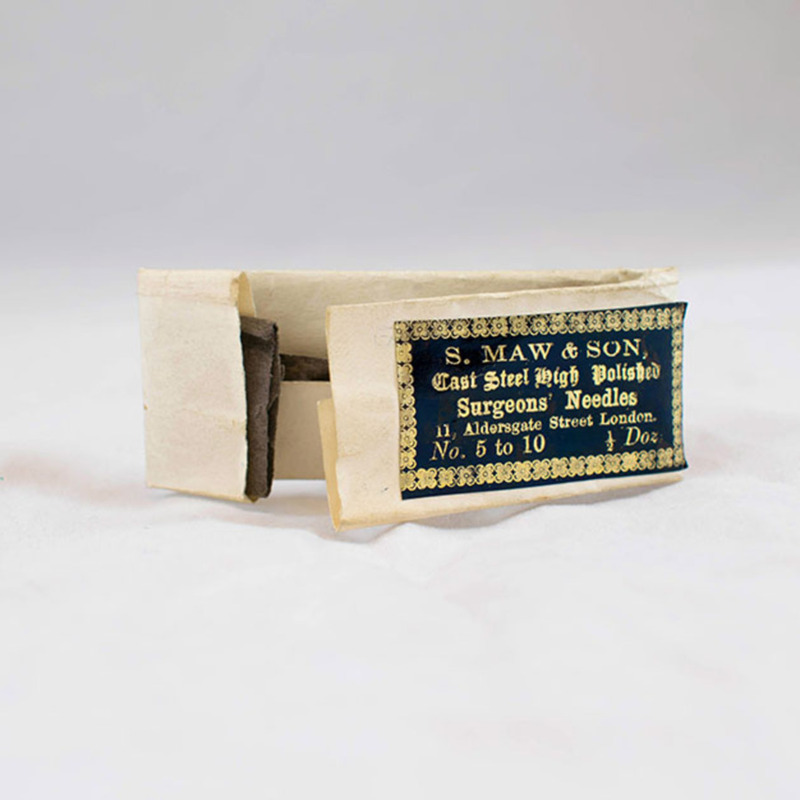 Description: Suture needles in paper packet.